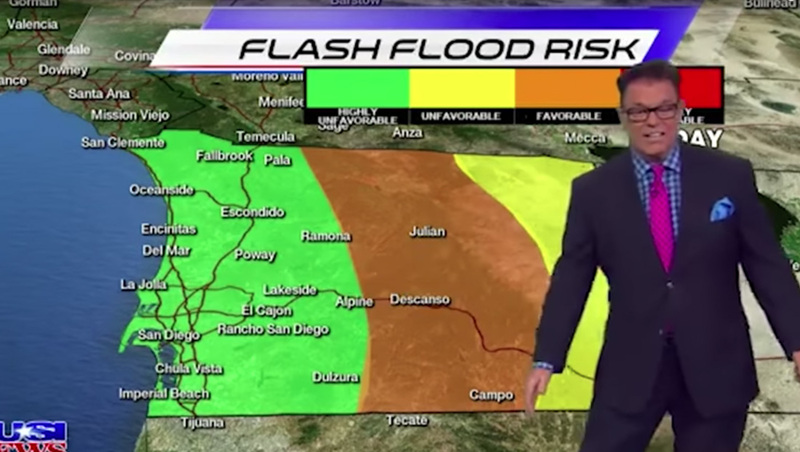 KUSI meteorologist Mark Mathis thought he was being perfectly clear about flash flood risk in the San Diego market — but after some crew members expressed confusion over a map, he decided to call them out on air with a “dumbed down” version. 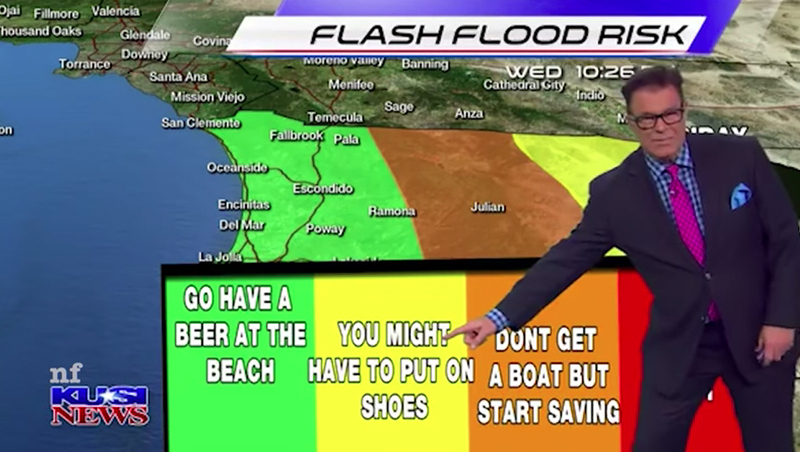 During a forecast earlier this, week Mathis this graphic with four color coded zones — ranging from “highly unfavorable” to “highly favorable” chance of flash floods. 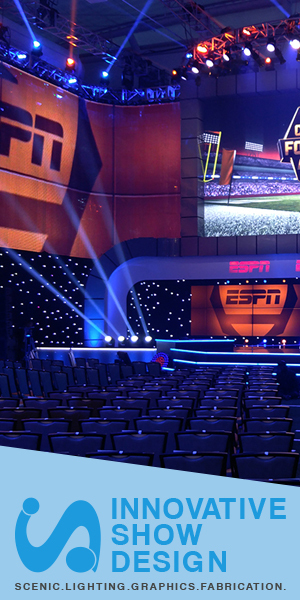 The segments were green, yellow, orange and red, though his map appears to have skipped the red zone. To Mathis, that weather-speak seemed clear enough but “the guys in the back” — “the production crew” — apparently were confused by the graphic and called Mathis out on it off air. That said, Mathis’s flippant labels don’t necessarily help matters either.